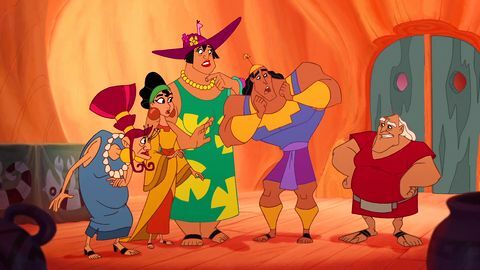 Movie transcript with snapshot pictures part 8 KRONK: Well, she's... PACHA: I'm Kronk's... KRONK: Mother-in-law! CHACA: Granny! CHICHA: Pach... KRONK: Ita! Papi, this is Pachita, Chicha's mother. PACHA: Ohh! PAPI: Mother, huh? Enchante. Now I see where Chicha gets her looks. KRONK: Okay. Who's hungry? Let's eat. PAPI: Yeah, I'm starving. I hope the chef here knows what he's doing. 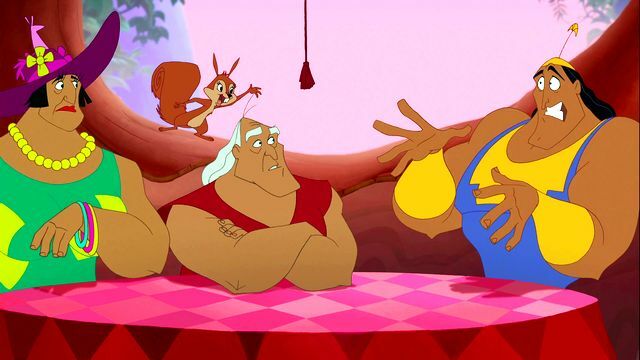 KRONK: Yeah, so do I. RUDY: Whoa, little fella! Where are you going in such a hurry? TIPO: Kronk's in trouble! His father's here! He doesn't have a wife or kids or a house on the hill. I've got to help him! RUDY: Kronk's in trouble? I know what to do. Hang on, big fella! The cavalry's comin'! KRONK: Uh, well, isn't this nice, Papi? You, me, Chicha, Mom. So, are you proud of me? Even a little? PAPI: Humph. I'm just glad to see you gave up all those crazy ideas about cooking and talking to animals. BUCKY: Kronk! Yoo-hoo! KRONK: Yeah. Crazy. 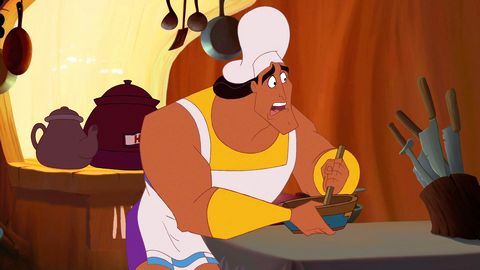 CONSUMER: Hey, Kronk, what's cookin'? KRONK: Nothing! There's no cooking whatsoever going on here. No siree. PAPI: What's he talking about? Him! KRONK: Him who? PAPI: Guy who was here. KRONK: What? 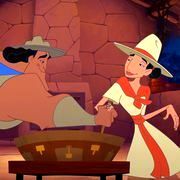 PAPI: Why's he asking you about cooking PACHA: Kronk! Oh, thank goodness. PAPI: So? KRONK: So, what? PAPI: Hello! Anybody up there? Where's our food? I've worked up quite an appetite. KRONK: More water. Be right back. PACHA: Kronk! I mean, Kronkles! KRONK: Okay. Stoke the fire. Stir the fondue. Chop the onions, lie to Papi. Machu Picchu! RUDY: Kronky-wonky! PAPI: Who is this? RUDY: Why, I'm the lovely Mrs. Kronk. PAPI: Kronker! KRONK: Uh... Right. I'll go check on dinner. RUDY: Hey! Is that any way to treat the lovely Mrs. Kronk? CHICHA: I thought I was the lovely Mrs. Kronk. RUDY: Look at us. Putting on dresses. Pretending to be women. PACHA: Kronk! What are you doing? 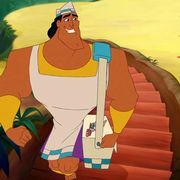 KRONK: Dinner rush. Four specials up and a party of ten in at 8:30. PAPI: Kronk! 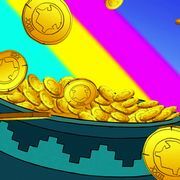 Kronk? Kronk! 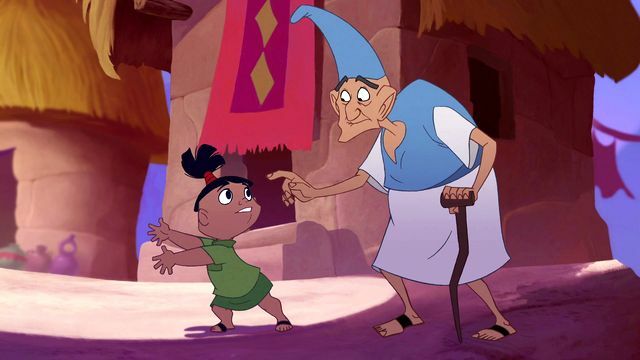 Let me get this straight KUZCO: Like how I weaseled myself in the movie? Nice. KRONK: Kuzco? KUZCO: How you doing, hot stuff? 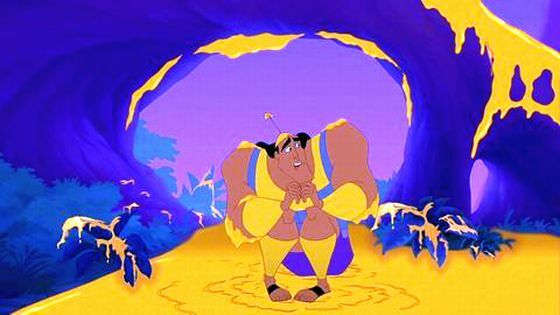 KRONK: Hot stuff? PAPI: Kronker! 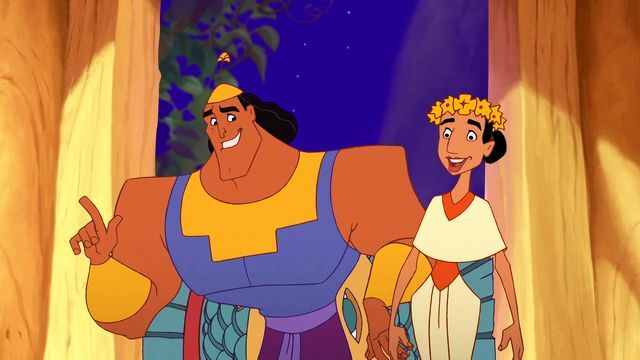 KRONK: So this is right about where we started CHACA: But Kronk, you've got us. 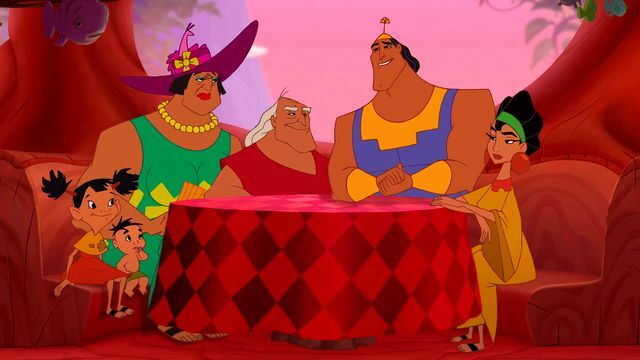 KRONK: And I wouldn't trade you guys for anything. PAPI: Well, that would explain why you don't have anything. 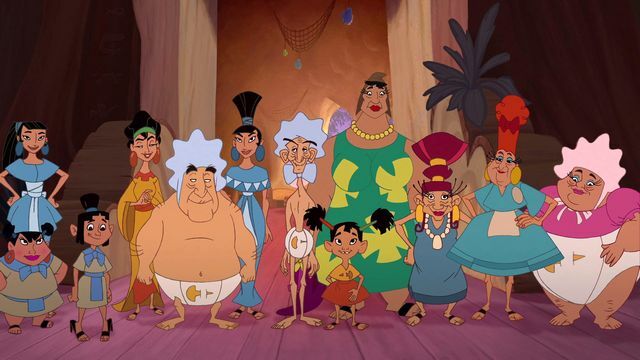 RUDY: For your information, Kronk used to have a big house. IPI: On a hill. TOPO: But he gave it away to us old folks. CHACA: And he had a girlfriend too. They baked us raisin bread. WAITRESS: He gave up all those things to protect his friends. KRONK: You were actually listening to my stories? WAITRESS: I was weeping on the inside. KRONK: Wait a second. I really wouldn't trade you guys for anything. Not even for a thumbs up. You see, Papi, you may look at my life and think I've got nothing, but the truth is I've got everything. PAPI: Not yet, you don't. I'm proud of you, son. KRONK: Ohhh... Whoo! Papi! ALL: Awww. PAPI: Come here, you little squirt. TIPO: Kronk, wait! KRONK: Tipo! How's my little Chipper? TIPO: I brought a friend. MS. BIRDWELL: Hello, Kronky-poo. KRONK: Ms. Birdy-poo. MS. BIRDWELL: I've missed you so much. KRONK: I missed you more. MS. BIRDWELL: I thought we'd... KRONK: Never see each other again. PAPI: You know what this means. If they're finishing each other's sentences... WAITRESS: Then it must be true love. ALL: Kronk! TIPO: Awesome! Watch Be True To Your Groove He's got nothing to prove / No one has to approve / The way that you move / Don't have to be smart or be rich or be smooth / Take a look in your heart / 'Cause it would behoove / You to know from the start / You should be true to your groove / True to your groove / True to your groove / You should be true to your groove / True to your groove / True to your groove / Yeah, you should be true to your groove / True to your groove / True to your groove / Yeah, you should be true to your / Oh, you gotta be true to your groove! YZMA: Huh? Oh, how cute!